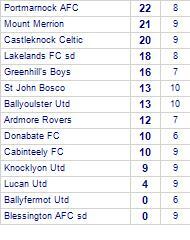 Ballybrack FC beat Mount Merrion. 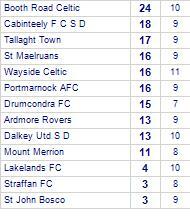 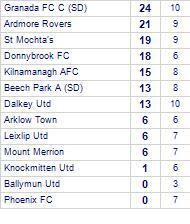 Ballybrack FC have yet to be beaten at home. 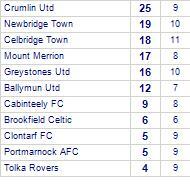 Peamount Utd claim victory against Mount Merrion. 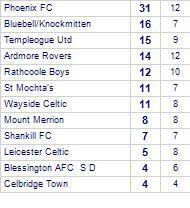 Shankill FC lose to Mount Merrion. 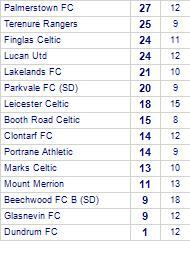 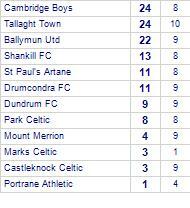 Shankill FC has yet to win in this competition, having lost its last 4 games. 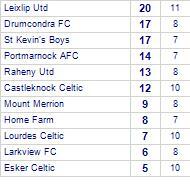 Donnybrook FC beat Mount Merrion. 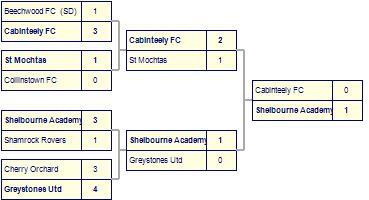 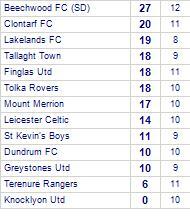 Donnybrook FC has yet to be beaten in this competition, having won every game. 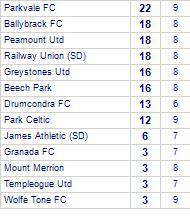 Ballyfermot Utd suffer defeat to Mount Merrion. 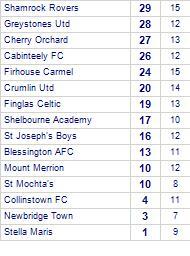 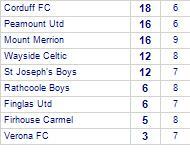 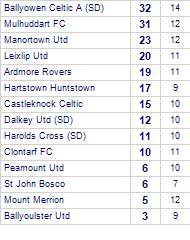 Mount Merrion are currently on a winning streak of 5 games.